Born: October 16, 1969, Waco, TX Died: November 2, 2018, New York City, NY at the age of 49. Roy Hargrove was a two-time Grammy-winning Jazz Trumpeter considered to be one of the premiere jazz trumpeters of his generation. 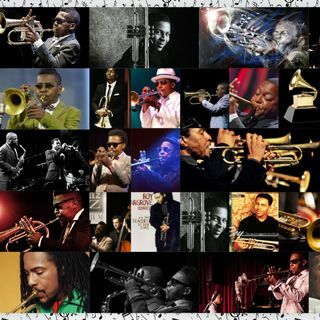 Hargrove played trumpet on recordings for other artists including Common, Erykah Badu, Questlove and D’Angelo and many others. He performed with Herbie Hancock, Wynton Marsalis his mentor and other ... See More jazz greats.